LG Innotek, a world-famous components manufacturer, today announced that the company succeeded in the mass-production of the world highest power 275nm UV (ultraviolet) LED chips. Such success is expected to start an explosive application of UV LEDs on purification and sterilization applications. LG Innotek reported that it mass-produced 275nm UV-C LEDs which emit in the "C" region (200 ~ 280 nm) of the UV spectrum for sterilization and began supply to a global consumer electronics company this month. LG Innotek UV-C LED products will be included in the consumer electronics lineup such as air cleaner, water purifier, toothbrush sterilizer, and other sanitary products. A test performed by Korea Conformity Laboratories (KCL) found that this product removes 99.99 percent of E. Coli, salmonella, and other germs within 5-liters of water contained in 25 minutes; this is as effective as the existing mercury UV lamp. UV-C LED has caught much attention as an attractive alternative solution to the mercury UV lamp due to its numerous advantages including high efficiency, long life, ultra-compact size, and eco-friendliness. However, until recently, only sample quantities of UV-C LEDs were released in the industry because of limitations in power and emission wavelengths. LG Innotek has developed a proprietary LED optimization technology to improve the optical power of a UV-C LED chip up to 10 mW at 100mA, the world highest. It has also improved optical efficiency by 15 percent compared to the mercury lamp, consuming less electrical power. 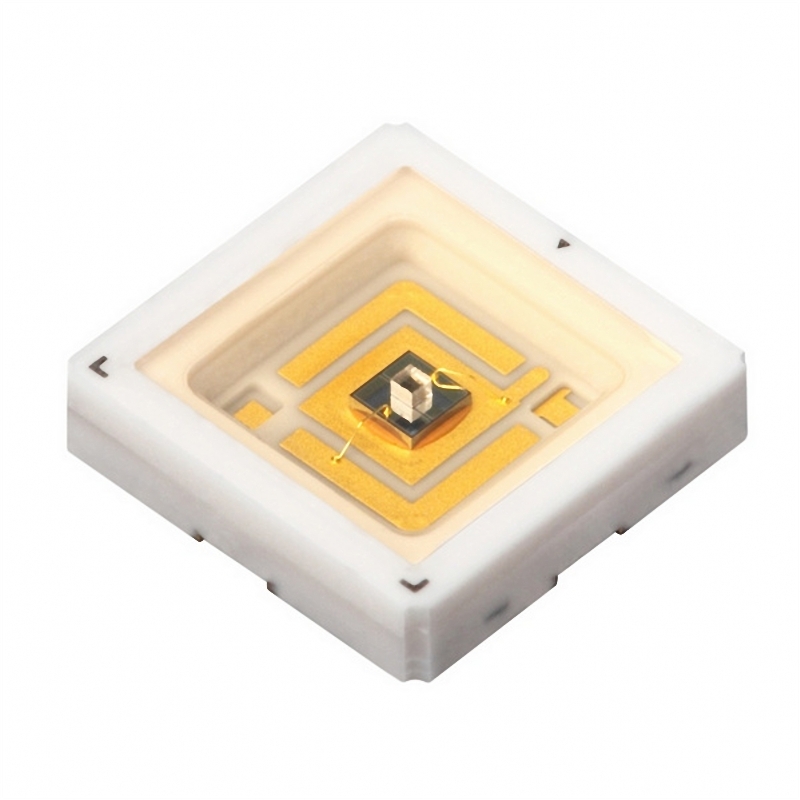 The company UV-C LED measures 6.8mm x 6.8mm and has a depth of only 1.35mm. It has been tested to provide 10,000 hours of operation duration, which is 1.5 times longer than the mercury lamp. Moreover, its "instant-on" nature means it does not need any warm-up time to achieve start the purification/sterilization process, unlike the mercury lamp that could require over 10-minutes to reach its full power. Unlike UV lamps, this LED chip does not use potentially hazardous heavy metals such as mercury. It offers high safety, high durability, and water proof performance. It achieved the IP67 level of Ingress Protection rating, meaning its performance is unchanged even after being submerged in water at 1 m depth for 30 minutes. LG Innotek said "Since our last April announcement of the mass production of UV-A (365~400nm) LED, which is used in industrial areas, we have further improved our UV LED technology by the mass-production UV-C LED for purification/sterilization applications. LG Innotek offers the best UV LED chip, package, and module solutions for our customers". According to "UV LEDs report" by Yole Development, a France-based market research company, the UV LED market is forecast to grow from 100 million dollars in 2014 year to 270 million dollars in 2017 (43 percent annually). Korean market research company, SNE Research, also expects the share of LEDs in the UV light source market to increase from 11percent in 2012 to 62 percent in 2018.